While many people are aware of the risks of misuse, abuse, addiction and even overdose that accompany the use of opioid analgesics, not everyone understands the profound affects they can have on nearly every body system. Last summer you met Anne (PDF), a 45-year old woman who injured her back at work. 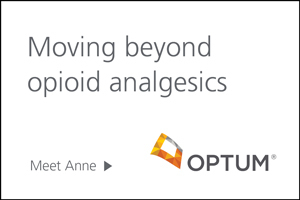 Over the course of her claim, Anne experienced many adverse side effects as a result of using opioid analgesics. She also became addicted to her medications. This lengthened the duration of and added significant financial costs to her claim. More significantly, the medication side effects and ensuing addiction disrupted her ability to lead a productive and active life. Anne’s relationships with friends and family suffered and her ability to function diminished, as did her outlook and self-esteem. Following a medication review by a clinical pharmacist with the payer’s pharmacy benefit manager (PBM), a specialty-matched physician outreach occurred after which several changes to the therapy plan occurred. Through the collaborative efforts of the payer, PBM, members of her interdisciplinary care team and family that followed, Anne transitioned to a safer, more efficacious and cost-effective medication therapy regimen that no longer includes opioid analgesics. The addition of non-pharmacologic therapies, such as physical, aquatic and cognitive behavioral therapy, and the use of a cane also helped restore her physical and emotional function, improving her overall health and well-being. To gain more insight about the pathway to a better outcome, read more about Anne’s story.